US District Judge Randolph Moss sentenced foreign policy aide George Papadopoulos to 14 days in prison, acknowledging his guilty plea and his remorse, but noting that he "lied in an investigation that was important to national security." Papadopoulos was the second person ordered to prison in the sprawling, 16-month Russia collusion investigation of Special Counsel Robert Mueller, and came just over two weeks after two former top aides to Trump were convicted of felony crimes in cases that grew out of the probe. Trump sought to ridicule the sentence, suggesting that it was trivial accomplishment for an investigation that has cost millions since it began in May 2017 -- while ignoring the 35 indictments, five guilty pleas and one trial conviction Mueller has racked up so far. "14 days for $28 MILLION - $2 MILLION a day, No Collusion. A great day for America!" Trump tweeted. But Senator Mark Warner, the senior Democrat on the Senate Intelligence Committee, which has its own Russia collusion investigation, applauded Mueller's work. "Despite constant attacks by the President and his allies, Special Counsel Robert Mueller and his team have once again demonstrated that they are conducting a serious, professional investigation into the Trump campaign's contacts with Russians during the 2016 election," Warner said in a statement. Papadopoulos, 31, was an inexperienced oil analyst based in London when he joined the Trump campaign in March 2016 as one of a handful of members of the Republican candidate's national security advisory board. Told the campaign's priority was to improve relations with Russia, within weeks he made contact with a mysterious professor, Joseph Mifsud, who touted links to the Kremlin. Mifsud introduced him to others who ostensibly had connections to Russian President Vladimir Putin -- including a woman who claimed to be Putin's niece. 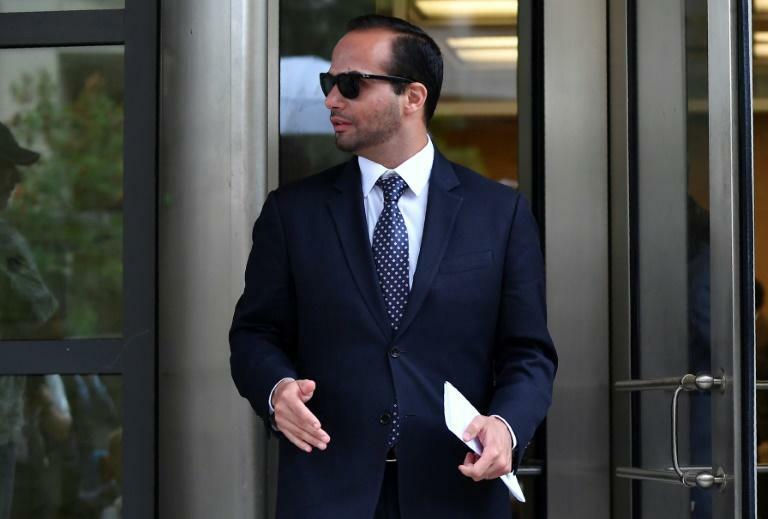 "While some in the room rebuffed George's offer, Mr Trump nodded with approval and deferred to Mr Sessions, who appeared to like the idea and stated that the campaign should look into it," Papadopoulos's lawyers said in a pre-sentencing statement last week. Sessions has claimed he opposed the idea, but Papadopoulos continued to discuss the idea with top campaign officials over the following months. In late April, he also told them that Mifsud said the Russians had information that could harm Clinton, in the form of thousands of emails. Weeks later, stolen Clinton emails were leaked over the internet by what US intelligence chiefs now say were Russian intelligence actors. Papadopoulos says he had nothing to do with the leak. After being tipped off by an Australian diplomat that Papadopoulos had spoken about Russians having dirt on Clinton, the Federal Bureau of Investigation quietly opened a probe into whether people in Trump's campaign were colluding with Russia. Papadopoulos admitted that he lied to FBI investigators when they interviewed him on January 27, 2017. "In January 2017, I made a terrible mistake for which I paid dearly, I am ashamed," Papadopoulos had told the court in Washington. "I was young and ambitious." His lawyer Tom Breen said that at the time, Papadopoulos was naive and acted on what he told the court was a "misguided loyalty" to Trump, who had been inaugurated as president just one week before. Already at that time, Breen noted, Trump was calling the allegations of Russian interference in the election "fake news" and a "political witch hunt" -- terms he continues to use for the Mueller probe. 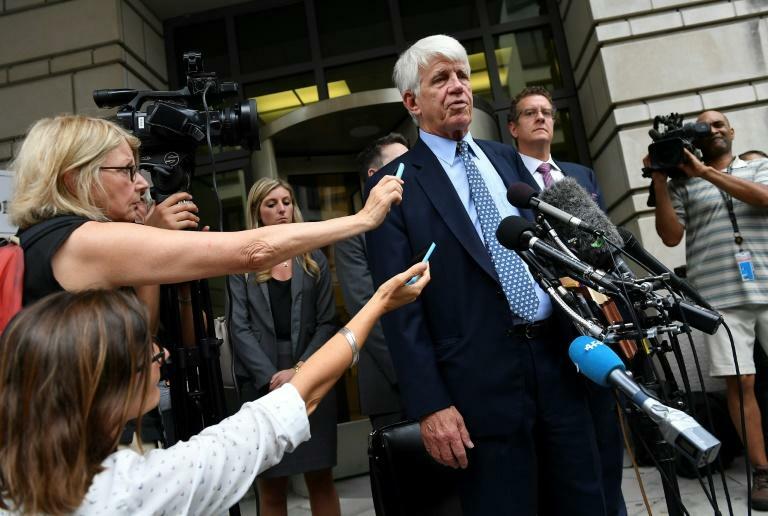 Moss, the federal judge, said he took into consideration Papadopoulos's "genuine remorse" in issuing the light sentence, which included a $9,500 fine, a year on parole and community service. Papadopoulos has cooperated for more than a year with Mueller's probe, but it remains unknown whether he has provided the probe with any information supporting allegations of collusion with Russia. Mueller's office did not immediately comment on the sentence.